Leigh Jackson MSc CPCC MCIPR MMRS FRSA, Director, Coaching Technology Services Ltd.
Hi! Welcome to my “about” page. I’ve always had a fascination for what makes people tick. Had I done the (then) required physics and chemistry at A-Levels, my chosen university would have allowed me to study psychology. But they didn’t – and so I didn’t! Until a number of years later, when as a mature student, I returned to do postgraduate studies in counselling and in organisational psychology. And trained as a career and leadership coach. My true calling! In the intervening years, I worked in corporate communications for the BBC, for central government and in the private sector. And as a consultant. I’ve held jobs in every conceivable kind of communications specialism, from public affairs, stakeholder management, change management and media relations through to employer branding and employee engagement. I’ve held all kinds of leadership and management roles, both strategic and operational; been a senior civil servant; coached other senior civil servants; led a global team for a FTSE 100 company; consulted to a financial services regulator. And from the mid to late “noughties”, I had the great good fortune to work with the videogames industry and other digital sectors as a government policy civil servant. That was where I fell in love with interactive technologies and all things tech. (I freely admit to being a gadget girl). 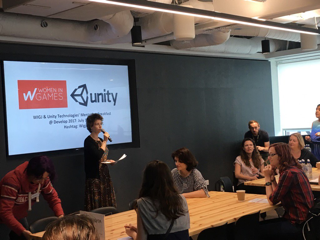 I developed a real passion for the feisty and irrepressible videogames sector and am proud to still be connected to it as Deputy CEO of the NFP Women in Games (WIGJ). (Check out the side bar on this page for news from WIGJ). And all this as an introvert! In a world of (largely) extroverts. I’ve had some great times and some challenging times. Learning to project my (quieter) voice over a hubbub of extroversion has had its interesting moments. However, it has given me (a) real optimism that introverts can indeed thrive in corporate environments. And (b) a strong desire to help other introverts find their voice and succeed and/or make it to the top. In the way that’s authentic and rewarding for them.